Tooth loss affects millions of people throughout the UK every year. We’re very fortunate that it’s not quite as problematic as it used to be, thanks to new breakthroughs in tooth restoration techniques. Cosmetic dentures are a safe and relatively simple way of replacing heavily damaged or lost teeth, giving you back your peace of mind (and a nice smile to go with it). However, it’s not all about cosmetics. Missing teeth need to be replaced for a number of reasons that extend beyond how we feel when we look in the mirror. Missing teeth can cause your remaining teeth to shift over time, leading to misalignment and bite problems for some. Bone loss and shrinkage of the jaw bone can also occur as a result of tooth loss, not to mention muscle sagging that can lead to a more aged appearance. 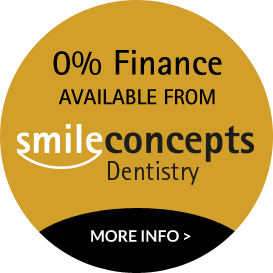 At Smile Concepts, we offer partial and full cosmetic dentures depending on your needs. Not only do we take into account the way your teeth look, but our specialists will do their very best to make your new teeth feel natural. Loose dentures are a problem we see often here; patients that have gone elsewhere who now complain of slack dentures causing them grief and discomfort. Our team can go the extra mile by securing your dentures with implants, providing stable support that will help you regain your confidence and the range of foods you can eat. For more information about cosmetic dentures in Solihull Birmingham, or to arrange a consultation with a professional dentist, contact us today.